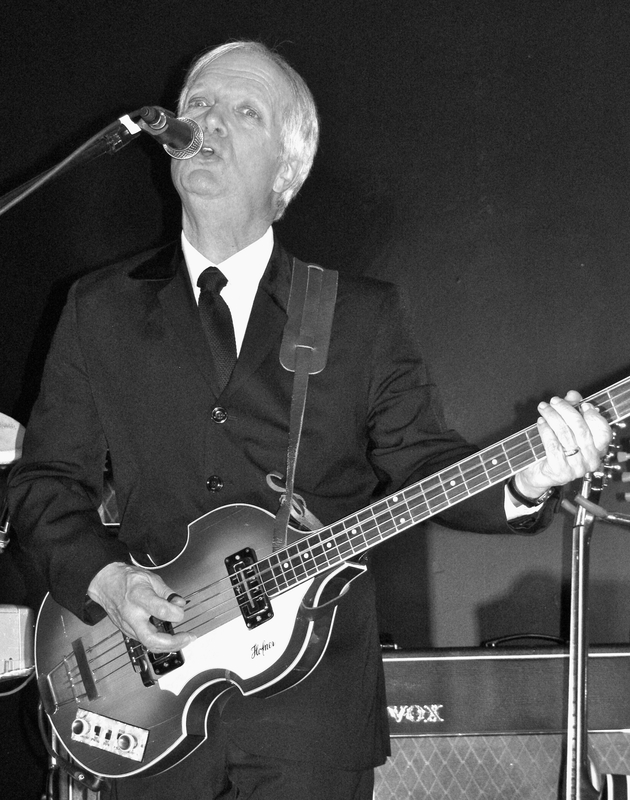 Mark’s passion for the bass guitar began on Sunday February 9, 1964, when he first saw The Beatles on Ed Sullivan. 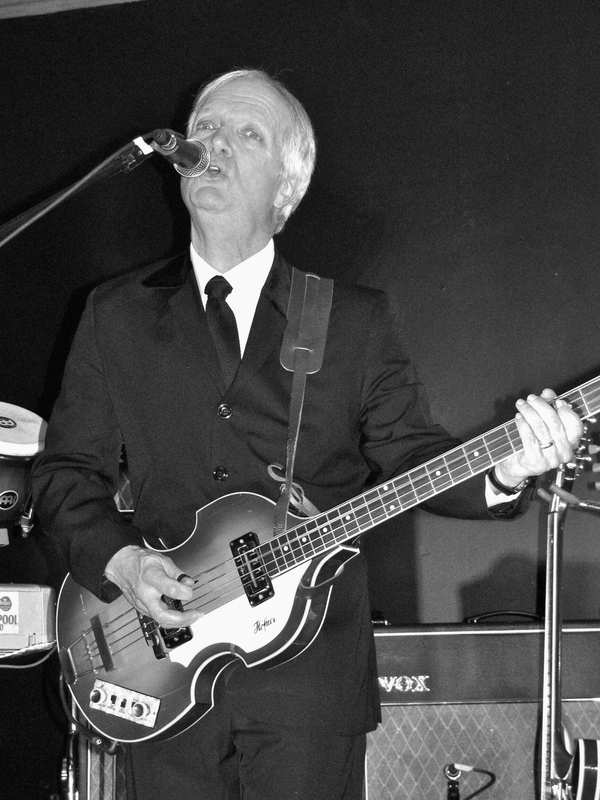 Although formally trained on the Hammond organ from age 2 to 14, Mark’s true passion was and is the bass guitar. Mark received his first bass in 1966, and never looked back. 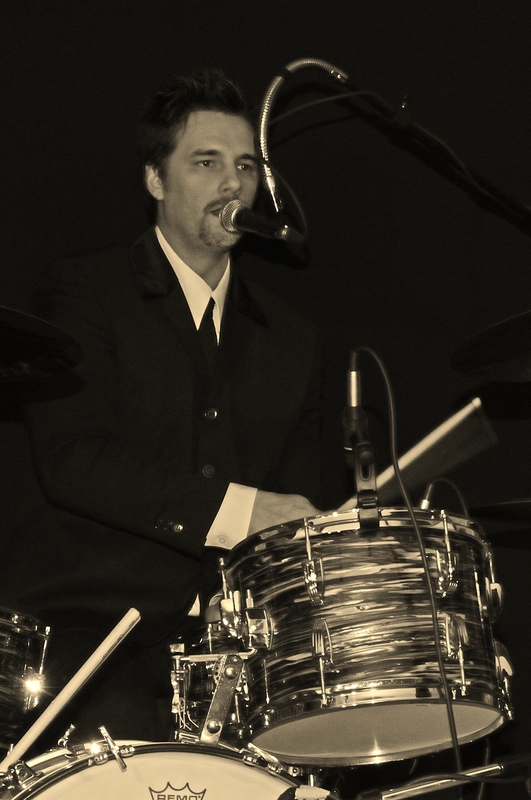 Mark has played in various local bands over the years such as Discovery Incorporated, Blues Train, Crescents Incorporated, Barrelhouse, and Galleon. 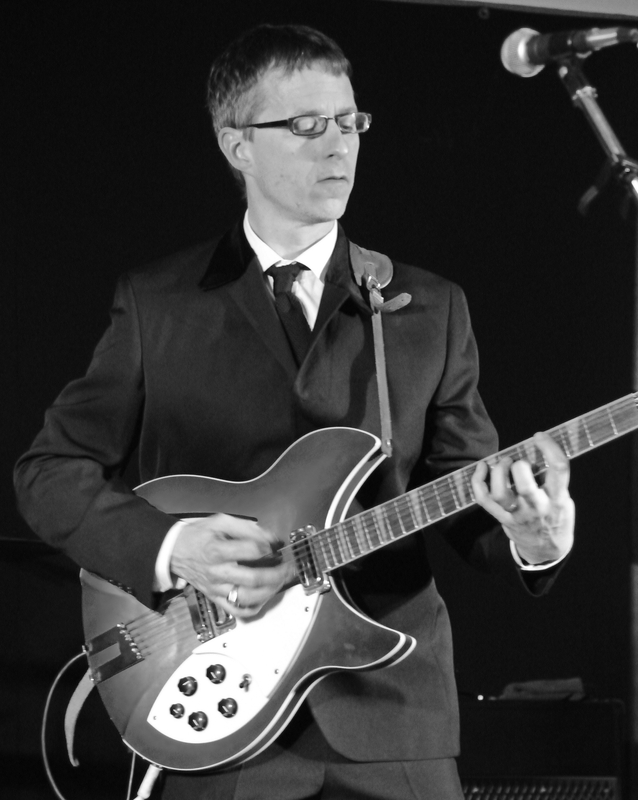 Mark has also been the instrumental director of the Corpus Christi Rock Choir for the last 14 years, but in the back of his mind, he always wanted to play Beatle music in a band. Mark was never able to find a group of “like passioned” musicians to play this wonderful music with, until now! Andy became interested in music at a very young age. Hearing The Beatles for the first time inspired him to learn guitar in order to play their music. After a few classes to learn some basic chords, he was self taught by way of books and listening. Recently he has been working in his home studio, recording demos for local bands as well as a freelance sound technician for local companies. With over 30 years of experience and a member of numerous local bands specializing in different genres, Andy has come full circle to where his inspiration first began. Franco started playing music at the age of 3. Being Italian, the accordion was the instrument of choice, which his Father also played. Franco eventually realized that playing Beatles music on the accordion did not seem appropriate. This is when his interests turned to playing guitar, bass, drums and vocals (all self taught). Franco began to study and dissect Beatle tunes to the point where he could play and sing every part of every song! It’s this passion for music and The Beatles that lead to fulfilling a lifelong dream in forming a Beatles note for note tribute… Liverpool Echo! Sean has his mother to thank for turning him off and on to Beatles music. As a child, he can remember hearing The Beatles in his home all day everyday. As a young boy he didn’t really care for the Beatles. It took a few years and a drum kit to change that. Sean took guitar lessons for 2 years, then quit guitar to play drums. He started on an old Cornet kit listening to Beatles music while teaching himself how to play drums. 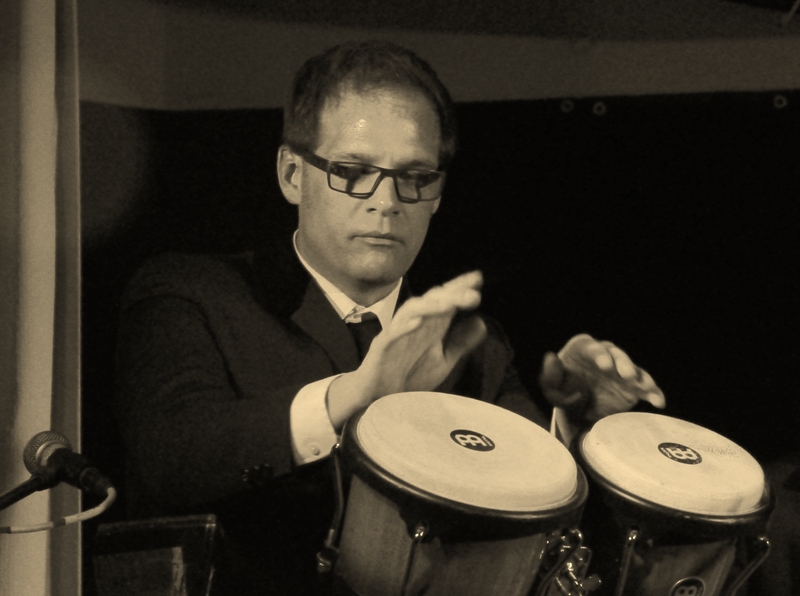 Sean went through stages of playing all types of music, taking ideas and styles from many of his favourite drummers. Liverpool Echo is a great outlet for Sean to really appreciate what the Beatles accomplished and to recreate their sound in a live setting. According to Sean, “Anybody who claims that Ringo wasn’t a great drummer never played along with his songs”. Sean is currently focusing on his “Ringoisms” that went along with Ringo’s flawless time keeping. Dustin credits his parents for spurring his interest in the music of the Beatles – “I’ve been listening to their music since I was born – but I’m always able to find something new each time I hear a recording.” After many years of private music lessons, Dustin studied classical piano and music composition at the University of Windsor, Wayne State University and the University of Toronto. His musical interests also include electronic music, minimalism, film and world musics. After a number of years as an Elementary School music teacher, Dustin now works as an Elementary School Principal with the Greater Essex County District School Board. Liverpool Echo has allowed him to reconnect with his musical roots and become even better acquainted with the songs of his childhood.